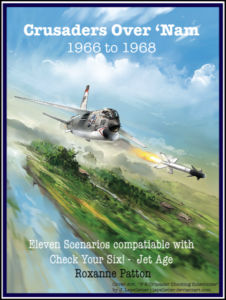 Published March 2017, this scenario book covers 11 actions in which F-8 Crusaders scored kills in action during the Vietnam war. Well documented and tested. Compatible with CY6 Jet Age. The needed aircraft roster is below. Stock numbers are all Raiden except the A-6 which is MSD.